The wonderful Batam Island is one of the most popular weekend getaway destinations for Singaporean and also Malaysians who are staying at the southern part of Malaysia. This island is one of the small Indonesia islands by the South China Sea and it is situated opposite of Singapore. You can choose to travel with Riesa Enterprise, which is one of the ferry service providers based in Malaysia that provides ferry services from Johor to Batam, Indonesia. Travelling within these two cities are as easy as making your online booking for the Riesa Enterprise ferry ticket on Easybook website by following this simple booking guide. If you are based in Johor, Riesa Enterprise ferry departs from Puteri Harbour International Ferry Terminal in Nusajaya and it will take you to Harbour Bay Ferry Terminal in Indonesia, as well as offering the return route trip. Riesa Enterprise runs the ferry services a few times each day as the demand for these trips are high. You can check out the ferry schedule at Easybook website along with the ferry ticket price for adults and children. All Riesa Enterprise ferries are available in modern speedboats with comfortable chairs, comes with life jackets and also has air conditioning system. 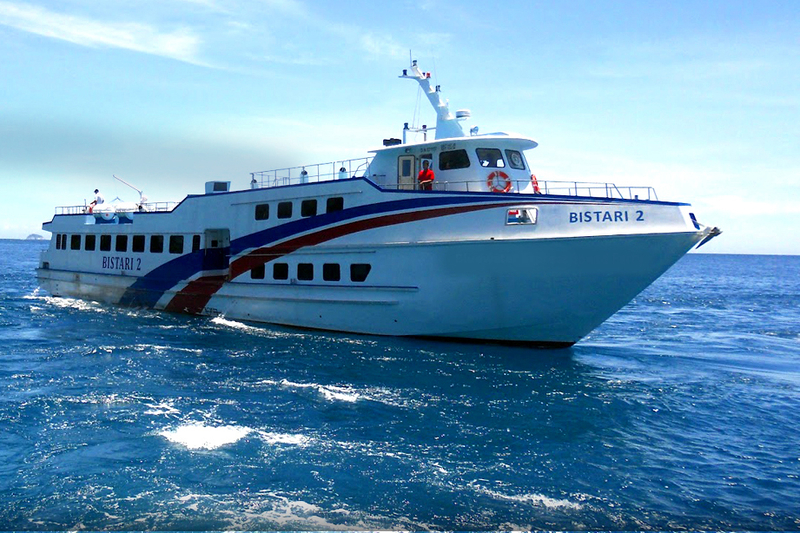 Passengers can sit back and relax while they enjoy the beautiful sea view on the way to Batam. You should definitely check out one of the largest Buddhist temples in Southeast Asia called Maha Vihara Duta Maitreya that will lead you to understand more about the Laughing Buddha. The other cultural building that you should visit is Masjid Raya, also known as the Grand Mosque that has a pyramid-style structure. Get your shopping on at the Mega Mall Batam Center that has many nice restaurants to satisfy your hunger, find affordable electronic gadgets or take it easy at the beautiful cafés in the mall. Make sure your ferry rides with Riesa Enterprise to Johor and Batam are fully worth it. Don't forget to arrive at the terminal to check-in at 90 minutes before boarding and print out your ferry ticket. Riesa Enterprise ferry tickets are now available for online booking at Easybook, which is the largest land and sea transportation booking site in Southeast Asia. Find out the available ferry schedule for Riesa Enterprise on Easybook and pick the schedule that suits your travel plan the most. Let us know the number of passengers for the trip and proceed to payment page. After you have filled in the passenger details and made the online payment, you will receive your ferry ticket order summary within the next 24 hours. You can also use Easybook's mobile app that are available on both Google Play Store or Apple Store to purchase the Riesa Enterprise ferry ticket of your choice conveniently. We look forward to serving your next trip with Easybook!